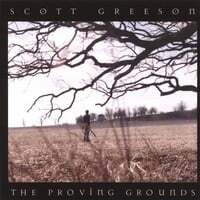 In the Summer of 2009, after nearly a decade of work, Scott gave his fans an even closer look at his music and his life with the release of “Wabash Gypsies,” a collection of instrumental acoustic guitar music he wrote with Kevin Ludwig, who performs with Scott in the band Trouble with Monday. This time, Scott is telling the story without words, letting his guitar speak about his life’s journey over the past 10 years, the loss of his first wife Jan and the grief that followed, and the challenge of honoring that part of his life and moving on. 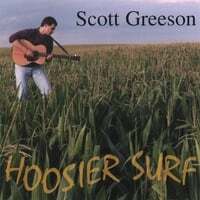 While this is Scott’s first instrumental CD, it is the third of his career, following “Hoosier Surf” and “The Proving Grounds,” “Wabash Gypsies is available at McGuire Music and Sound at (765) 474-2942, and Barnes & Noble in Lafayette at (765) 449-4330, and through CD Baby and iTunes. A portion of the proceeds from the sale of this disc goes to support the Adult Congenital Heart Association. Scott and Kevin are frequently joined by bassist Greg Brassie and vocalist /accordionist Vickie Maris Greeson at their shows that feature the music style captured on the Wabash Gypsies project. 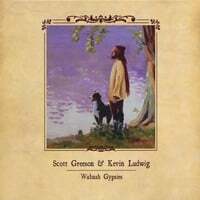 Both Brassie and Maris Greeson appear on the Wabash Gypsies CD. Audiences not only hear the instrumental tunes, but are also treated to tunes that incorporate vocals into the mix – both originals and covers. This group plays at a variety of venues where music and people meet for a relaxing and memorable event. In the fall of 2009, they opened for Peter Tork (the Monkees) to rave reviews.